There are two broad categories of worms that may affect our pet dogs and cats, intestinal worms and heartworms. Please see our heartworm page for more information. Worming is one of the first health care issues pet owners need to address as pups and kittens are the most susceptible. As their name suggests, intestinal worms are parasites that live inside your pet’s intestines. These worms range in size from small to surprisingly large (up to 18cm in length). Regardless of their size however, they all have negative, and potentially deadly effects. Most species of animal, as well as humans, can be infected with intestinal worms including dogs, cats, rabbits, horses, fish, birds and reptiles. If your pet has a large number of worms it may find it difficult to maintain body condition and it can lose weight. In some cases it can cause vomiting, diarrhoea and even anaemia (a low red blood cell level). Occasionally, heavy intestinal worm burdens can cause death. Worms sometimes have complex lifecycles which involve a period of existence and development outside your pet. Understanding the life cycle of a specific worm is important so that strategies for treatment and prevention can be designed and implemented. For instance, some tapeworms need to pass through fleas to complete their lifecycle, so flea prevention is an important method of controlling tapeworms. It is important to maintain a routine worming treatment for your pets, to reduce the incidence of infection and to reduce environmental contamination. There are many worming treatments available for the various worm infections that occur in our pets.These are available as tablets, spot-ons, or pastes. Re-infection is a common problem, particularly in pets that are in contact with a heavily contaminated environment. Another very important reason to worm your pets is to protect your family; as children in particular can become infected with certain dog and cat worms. 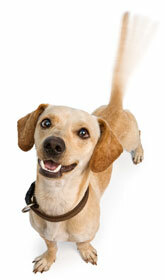 Please call us to discuss an intestinal worming program for your pet.